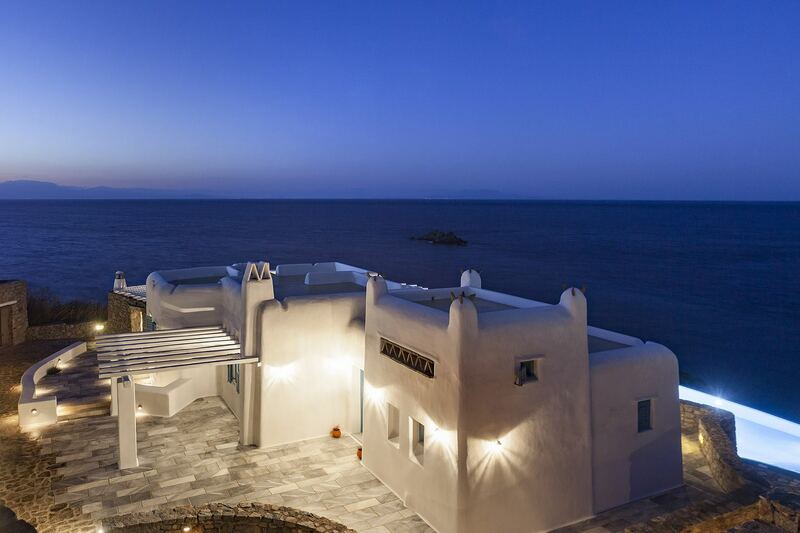 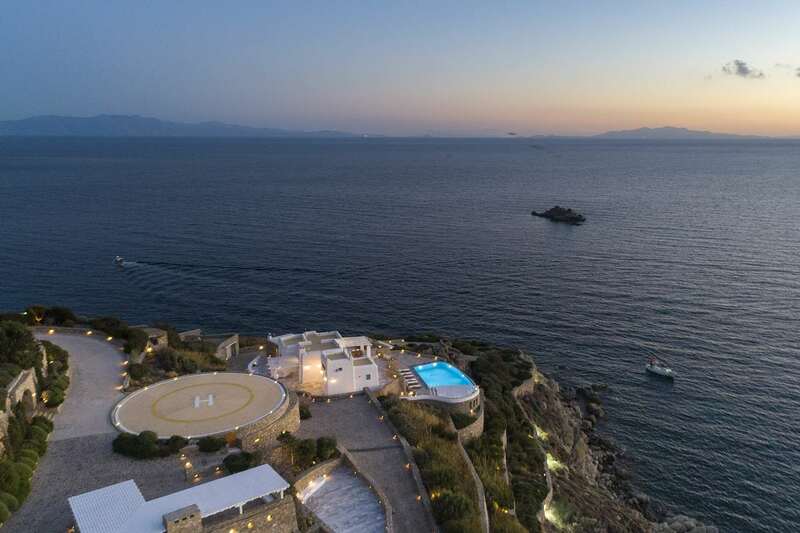 A stylish reflection of the cosmopolitan Mykonos lifestyle, but with a traditional heart, villa Lugano sits gracefully on an imposing, wind-protected rock right over the glowing waters of Agios Lazaros Bay, affording uninterrupted views of the sea all the way to the islands of Paros and Naxos. 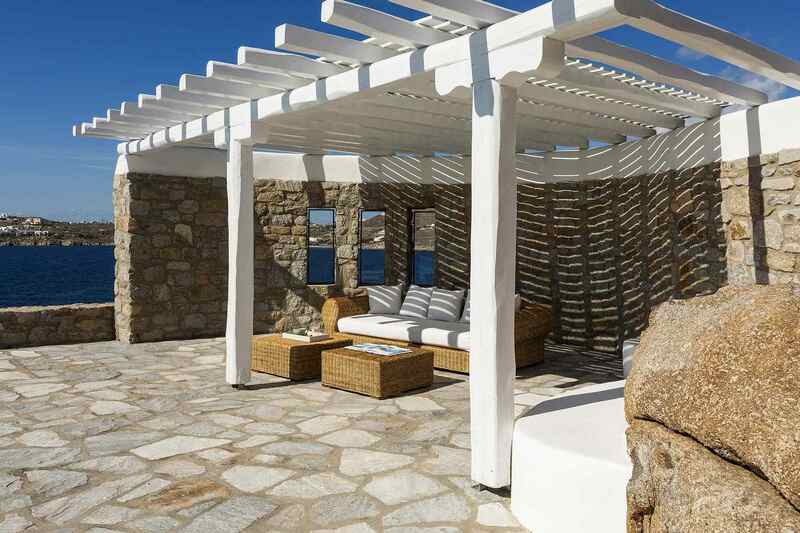 Serenity, space and calm are waiting for you at this impeccable home, and yet you are only 5 km away from the sparky Mykonos Town and a 10-minute drive to the celebrity lair, Psarou Beach. Everything you have ever imagined for the perfect summer vacation, you’ll find it here. 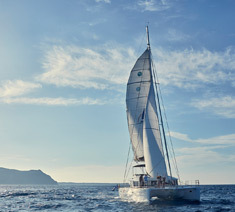 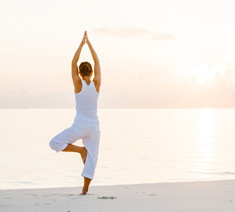 Form a group of 11 and get ready for a true escape to paradise. 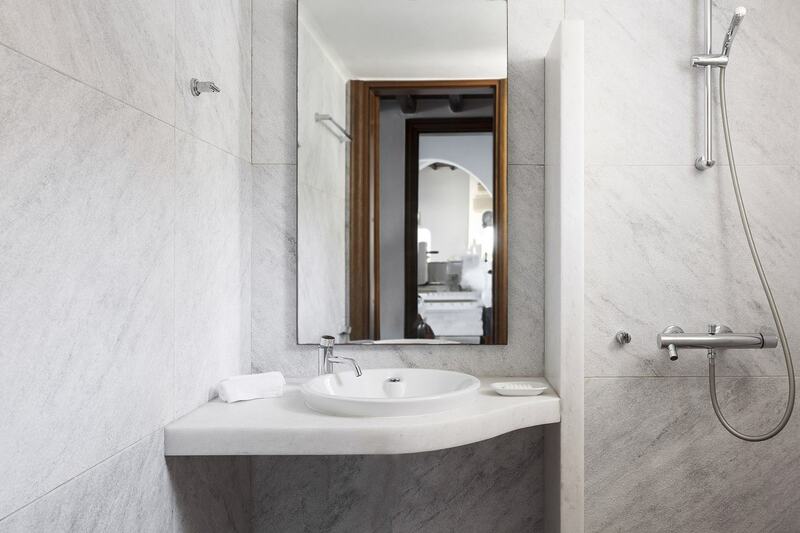 With clear blue skies and crystalline waters as far as the eye can see, the views from Lugano’s stunning terrace are nothing short of breathtaking. 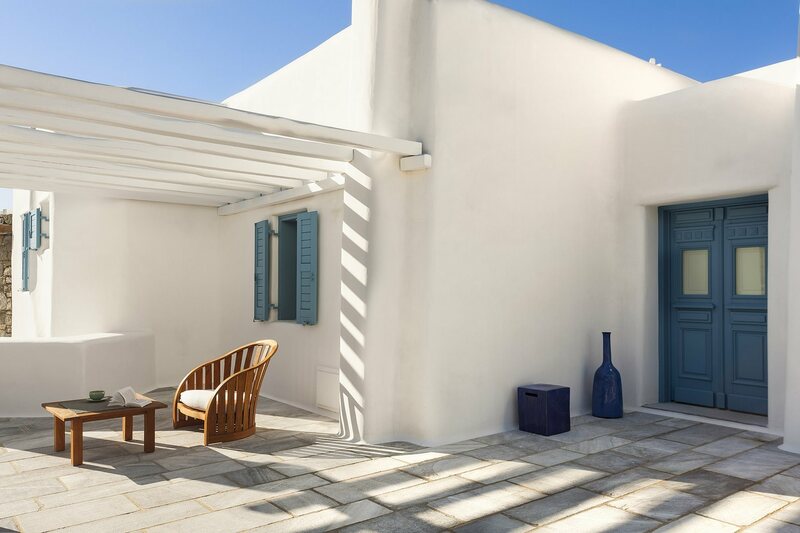 Elegant lounging areas and abundant Mediterranean flora complement the villa’s Cycladic architecture, and your only task will be to relax on a cozy sunbed by the infinity pool and let the soft sea breeze travel your senses. 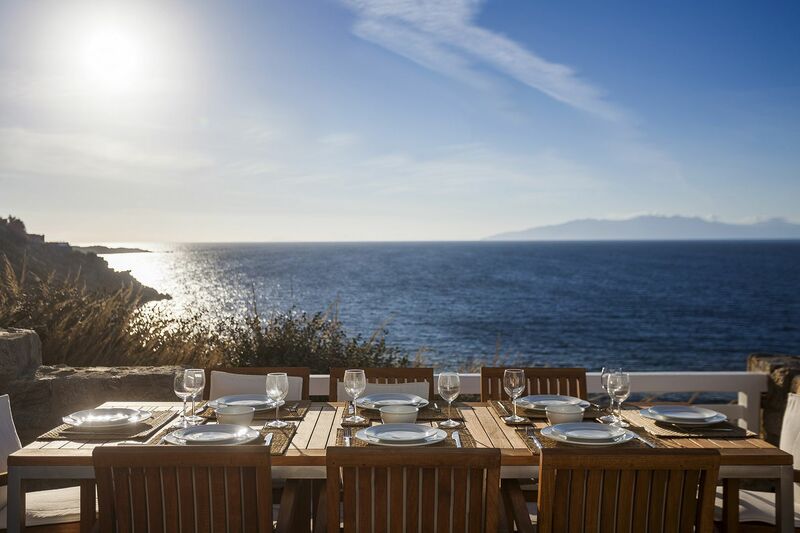 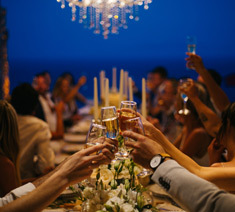 Multiple outdoor dining settings and a BBQ offer the perfect opportunity to get together with your group for alfresco meals, before you set yourselves on “excursion mode” and start exploring the island. 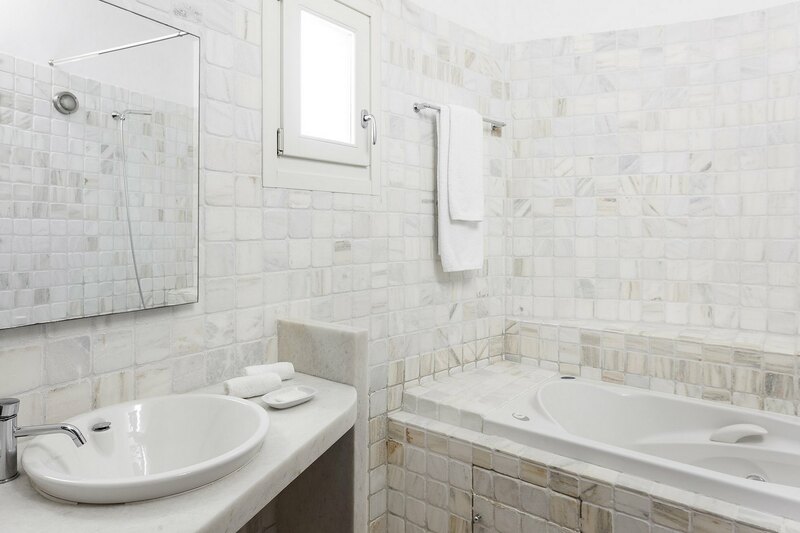 Filled with Greece’s glorious natural light, Lugano’s interiors combine traditional elements with every comfort of a welcoming home, evoking a feeling of relaxed luxury. 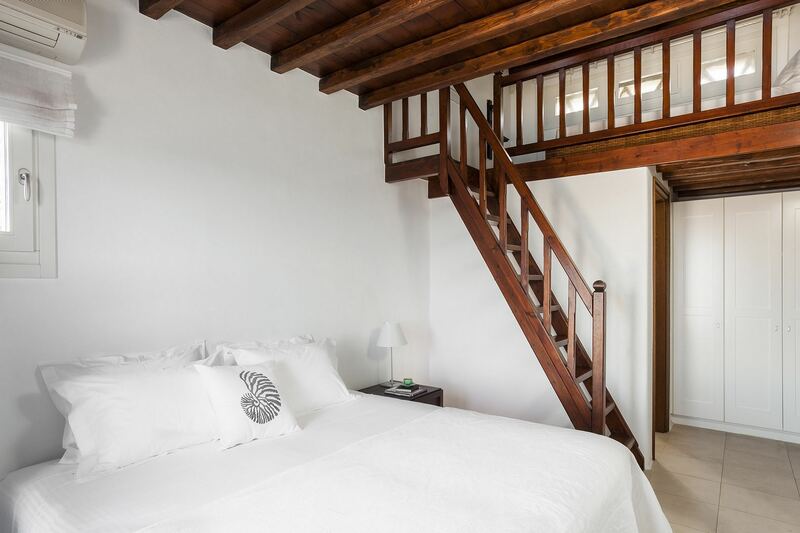 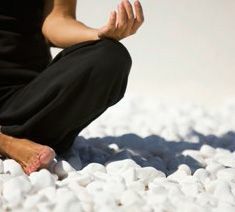 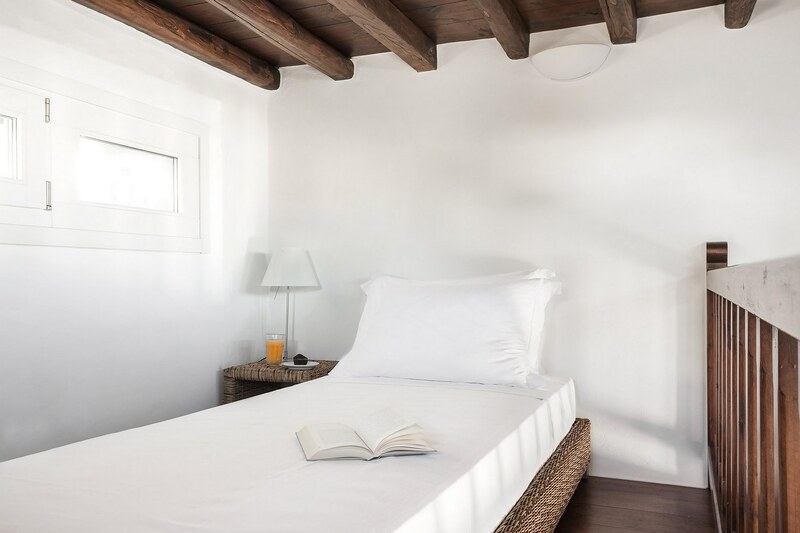 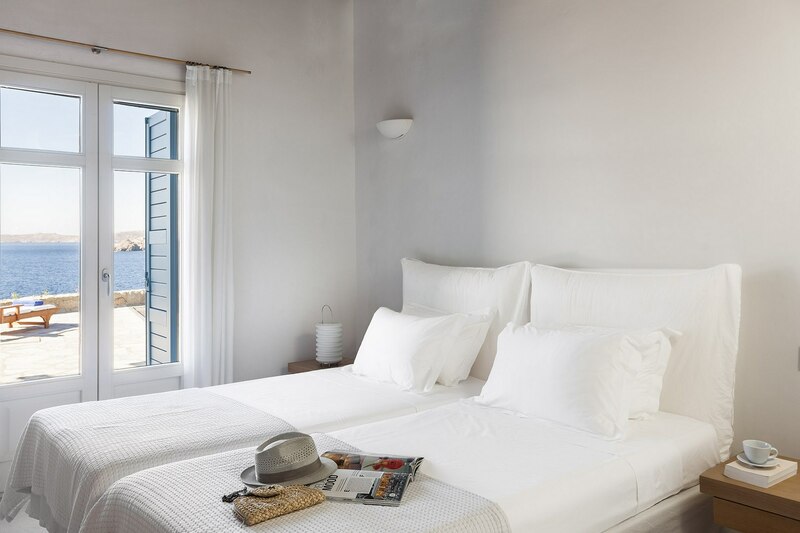 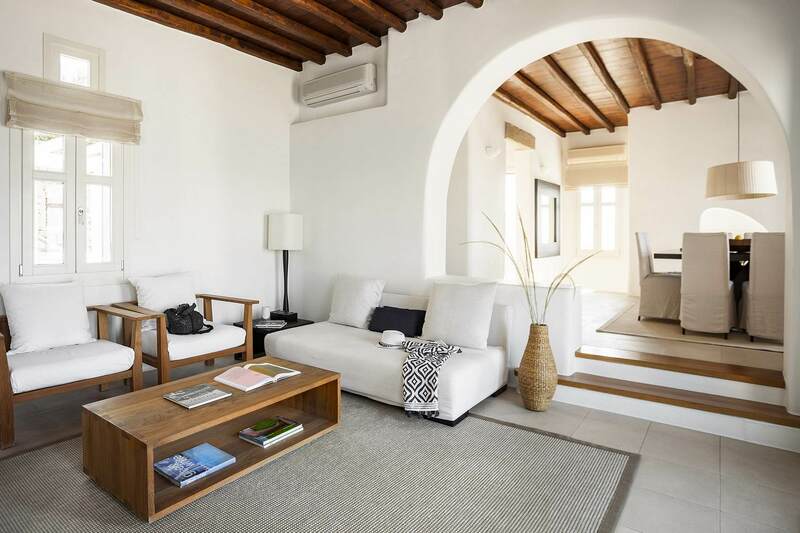 Cozy furnishings, all-white walls and wooden ceilings give away the tranquil moments you are going to experience here. 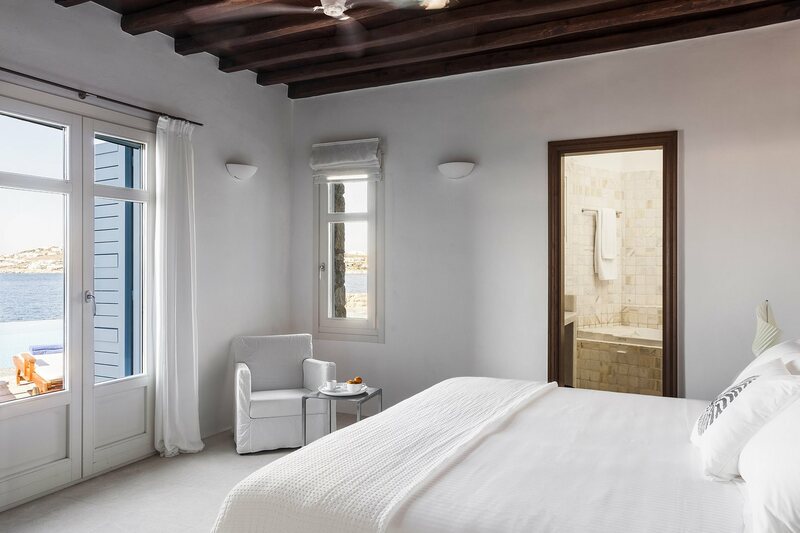 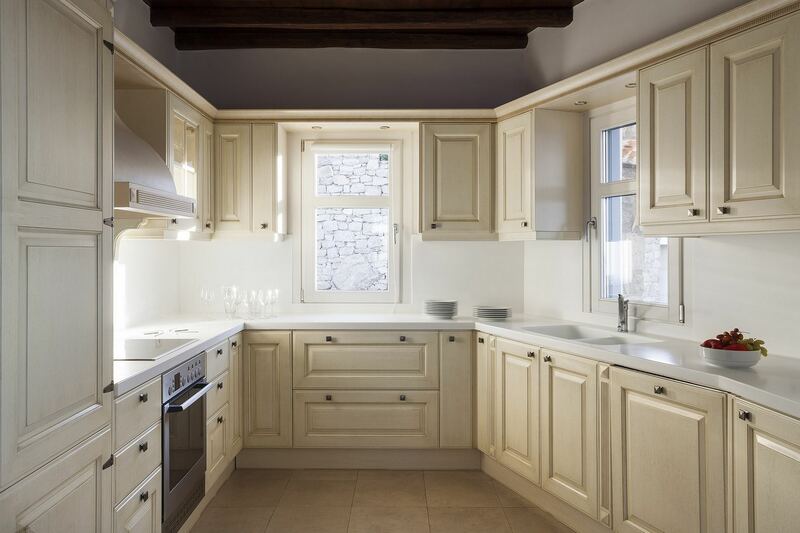 The kitchen is fully-equipped for creating holiday feasts, which you can enjoy in the luminous dining area and the bedrooms are the very definition of luxury living; think king size beds, en-suite bathrooms and windows with sea view, a real home away from home for 11 lucky guests. 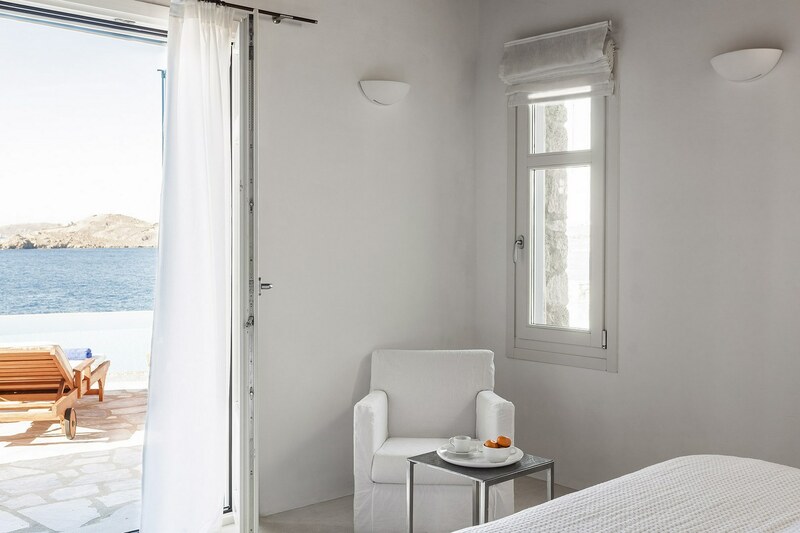 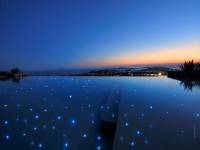 Personalized planning is our area of expertise, so, if you want to experience the magic of Mykonos, all you have to do is trust our award-winning concierge, who will be available 24/7 to arrange anything for you. 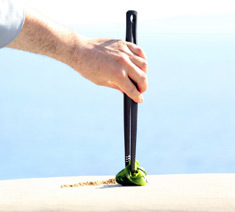 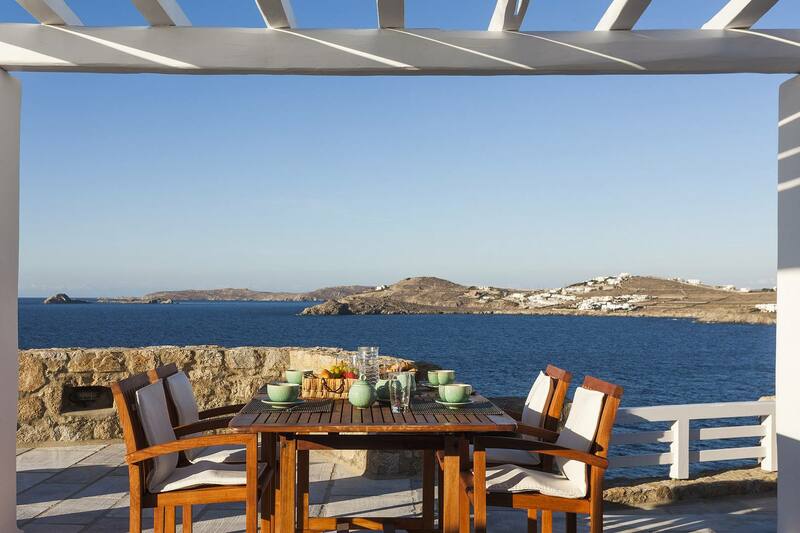 Whether it is a yacht tour around the island, a meal at a fancy restaurant or a BlueVillas chef experience at the privacy of your villa, just drop a line and consider everything done before you can say “Mykonos”. 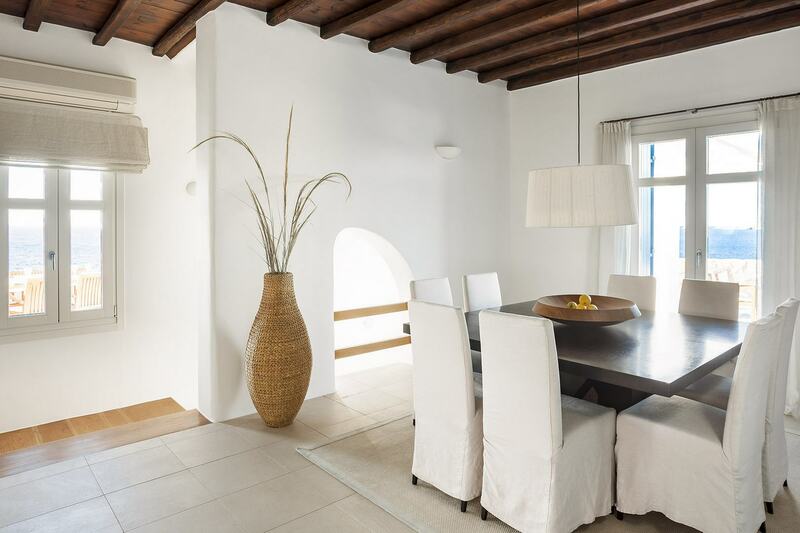 Lugano’s location is perhaps the most privileged in Mykonos, but your summer home has a lot more to offer than proximity to the hot spots of the island. 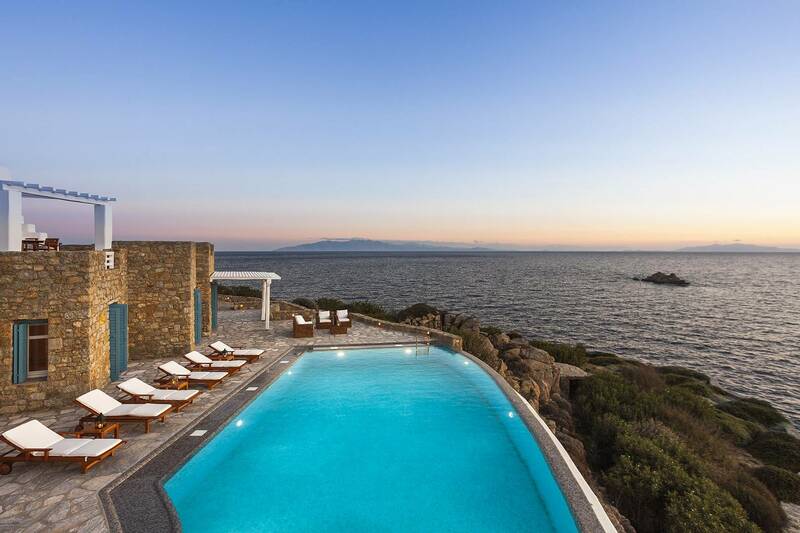 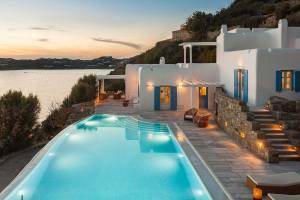 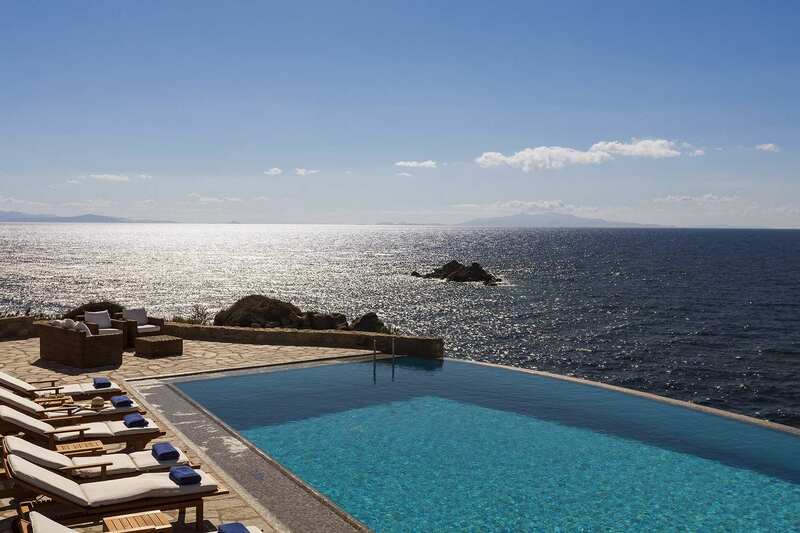 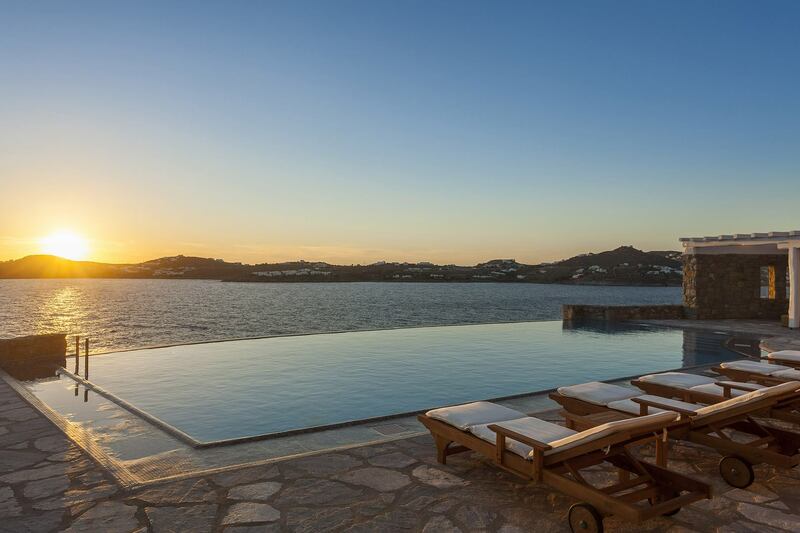 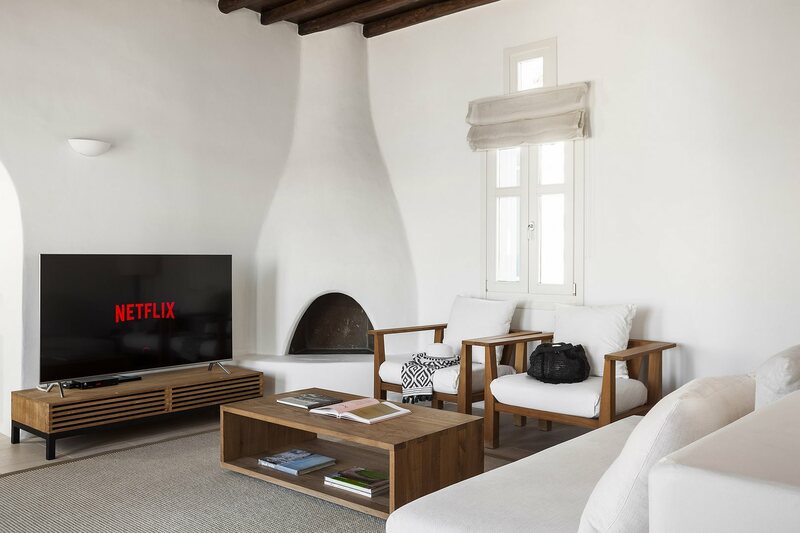 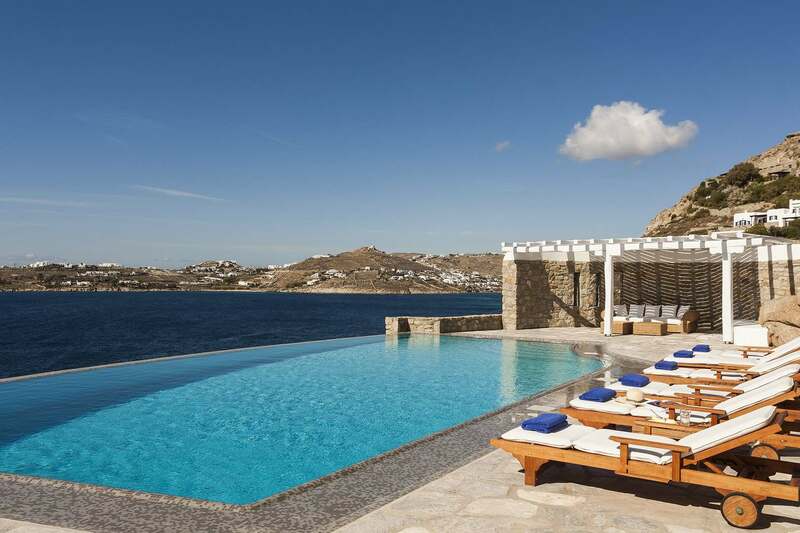 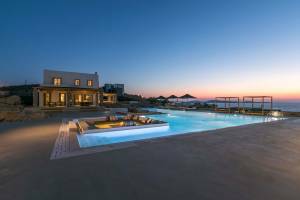 This incomparable luxury Mykonos villa is part of a private 11-property estate that is CCTV monitored 24/7 and equipped with independent alarm system for each property, power generators, a helipad and a jetty for dinghy pick-ups and drop-offs. 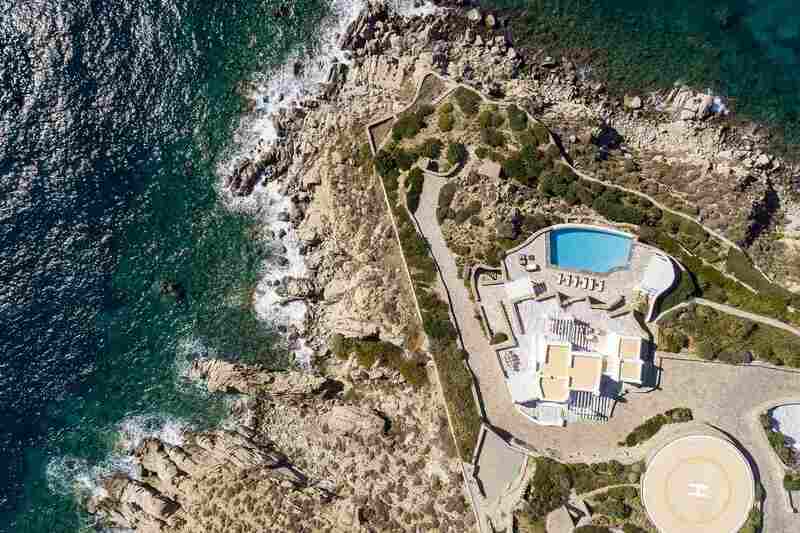 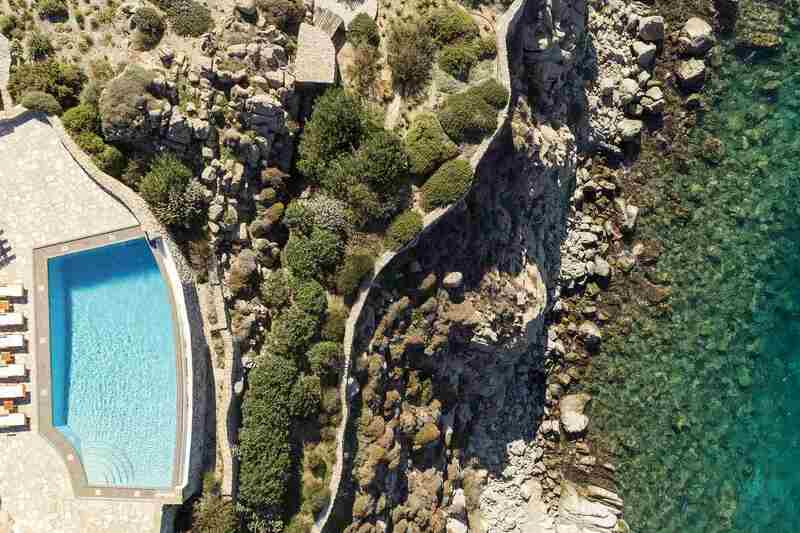 Cherry on top: within the resort, a staircase carved into the rocks will lead you to a rocky dock with sunbeds, where you can enjoy the sun and sea away from indiscreet eyes.